I am in a snowy Colorado at the moment, but the big news from back home in Cornwall is that the flags (a black background with a white cross) are waving across the county with the news that the famous Cornish pasty has received protected status from the European Commission. Now only pasties supplied in Cornwall can be labelled 'Cornish' and they must have the traditional recipe of beef, potato, onion and swede. A Cornish pasty must also be crimped on one side, giving it the distinctive D shape. This is a legacy of the original purpose of the pasty, a cheap and filling meal for the Cornish tin miners, the crimped edge making a nice disposable handle. At the risk of being lynched when I get back home, I have to say that they are just a little over-rated, having been weaned on the delicious Lancastrian meat and potato pies, but I do manage to eat a pasty each Saturday lunchtime. This is probably a tradition started on the mine in Zambia, when each Saturday one of the General Foremen, a Cornishman, would bring home-baked pasties for us hungry metallurgists. No doubt delegates at this year's MEI conferences in Falmouth (www.min-eng.com/conferences) will wish to sample the local delicacies, but please take our advice on the best suppliers before making your purchase! 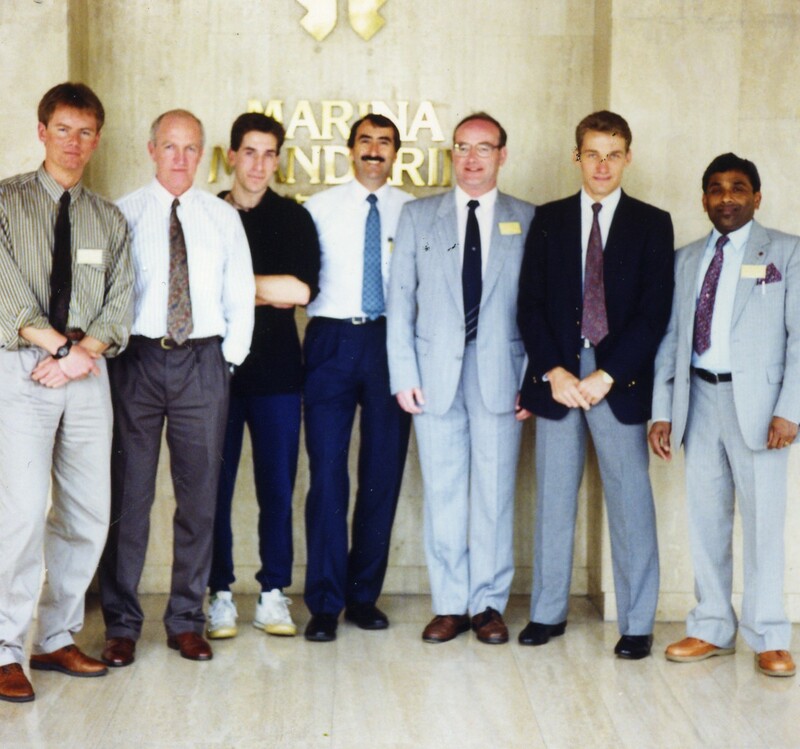 Twenty years ago today Minerals Engineering '91 commenced at the Marina Mandarin Hotel in Singapore. This was pre-MEI, and I organised the event with CSMA, the consultancy branch of Camborne School of Mines. 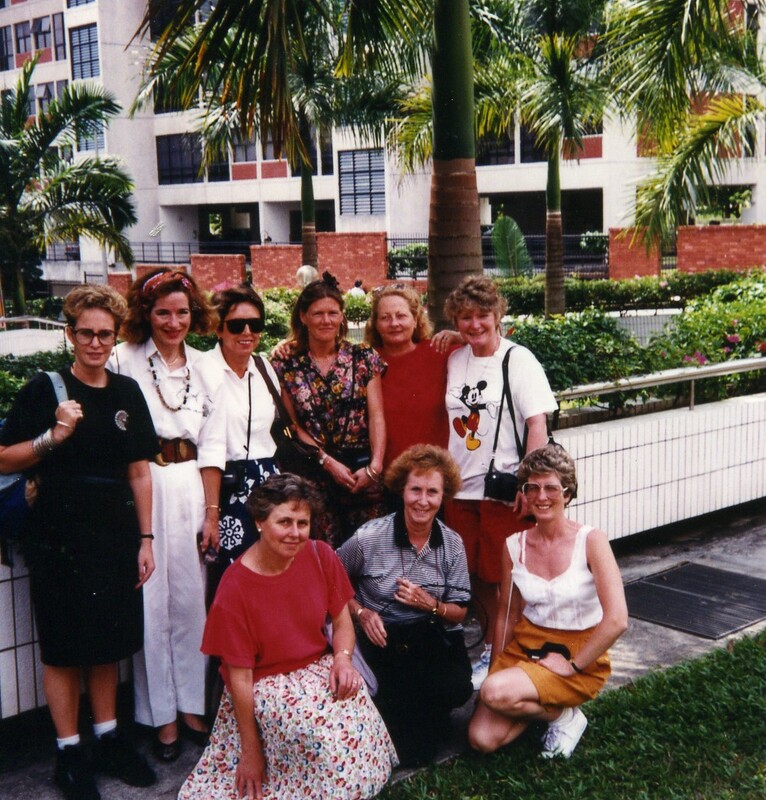 It was the first of our overseas conferences. The conference was attended by 61 delegates, which did not reflect the interest shown originally. Early expressions of interest showed a potential of more than double this number. The sole cause of the drastic reductions was the middle-east Gulf War. The impact was most evident for USA delegates, where many minerals industry employees were prevented from attending by company or university dictate. The lower than anticipated numbers did not, however, detract in any way from the technical excellence of the presentations, and the 41 papers presented can be seen in the special issue of Minerals Engineering, Volume 4 Numbers 7-11 (1991), which also includes the delegate list. 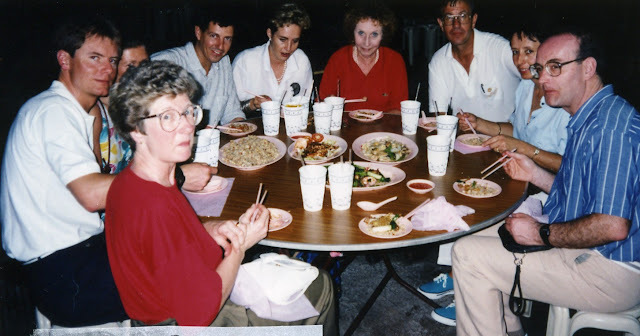 One of my abiding memories of the conference was the dinner on the Singapore River, which was an excellent evening, but even more memorable was the following morning when over half the delegates failed to show, due to a mass bout of food-poisoning! I think I co-chaired most of the sessions on that day! For more comprehensive news of People, visit People News on MEI Online. For regular updates of news from the world of mineral processing and its people, submit your email address in the box in the right-hand column. 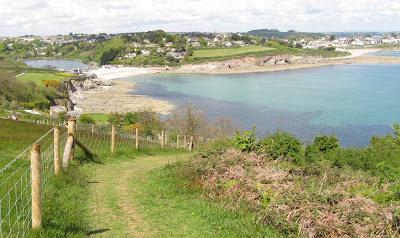 I have reported a couple of times of developments taking place at the old South Crofty tin mine in Cornwall (see last posting of 10 May 2010), now operated by Western United Mines. South Crofty was Europe's last working tin mine, closing 13 years ago, and in my last report was on the brink of reopening as a polymetallic mine, working orebodies containing copper, zinc, silver, lithium, gold and indium, as well as tin. Copper prices in particular have risen so dramatically recently that theft of the metal has become a real problem. However, the development has had problems recently, which led to the lay-off of 16 of its 60 workers, but now hopes to employ up to 400 staff within two years. 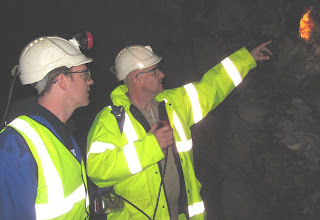 When I spoke to ex-Camborne School of Mines (CSM) student John Webster, the chief operating officer, in November at Process Mineralogy '10, he indicated that the next stage in feasibility would be a thorough mineralogical analysis of the ore. Dr. Robin Shail, a geologist at CSM, suggested that they should look for indium, and up to 1000g per tonne was found in some assays, the average being about 100g per tonne. John estimates that they will mine between 250,000 to 400,000 tonnes per year in the first phase. Until now significant amounts of indium have been found only in China, Canada and parts of continental Europe. It is an important ingredient in the manufacture of touch-screen technology and a small amount is used to make every liquid crystal display screen, including laptops, digital clocks and GPS receivers. The rapid growth in the touch-screen market has forced indium prices up dramatically in the past ten years, peaking at about $800 (about £500) a kilogram, about the same as silver. It is about £550/kg at the moment. The Annual CMP conference is held in the same location every year- the Westin Hotel in Ottawa- allowing delegates the opportunity of unwinding by ice skating on the frozen canal which passes in front of the hotel. Although not a truly international conference, it draws Canadian mineral processors like a magnet and the 3 events that I have attended have been very impressive and worthwhile. I particularly like the way that the CMP looks after its students, and I have just received this report from Brandon Chambers, a post-graduate student at Queen’s University, Canada. With 501 delegates, the 43rd annual Canadian Mineral Processors Conference, held in Ottawa from January 18th to 20th, was the largest to date. The technical program involved the presentation of 35 papers relating to the areas of operations, plant optimization, flotation, advanced technologies, gold processing and comminution. On Wednesday afternoon, Tony Lipiec gave a special presentation regarding the establishment of the best practice guidelines in mineral processing for NI 43-101. From a student perspective, the most valuable aspect of this conference was the networking opportunities. 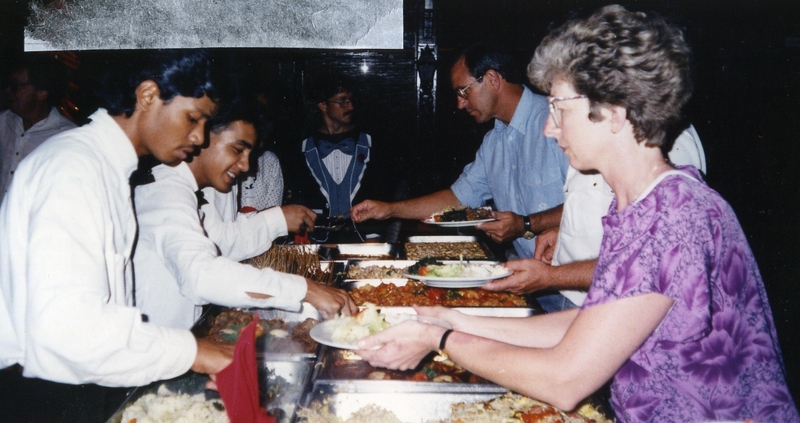 At the first lunch of the conference, I had the opportunity to sit at a table with someone working on enargite processing, my graduate thesis topic, as well as another delegate working in microwave application, my undergraduate thesis topic. Finding someone working on similar projects, as well as knowledge gained discussing these topics, is seemingly expected for most experienced delegates, but for a student this interaction is truly exciting. 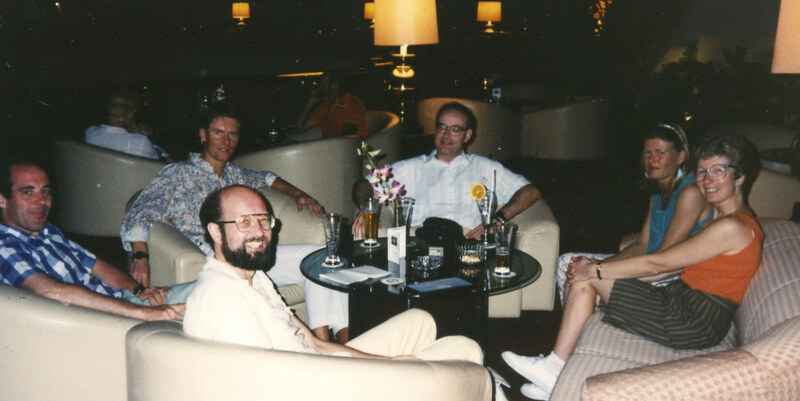 Throughout the rest of the conference’s coffee breaks, lunches, dinners and receptions, I spent my time meeting a variety of people who shared their experiences, opinions and knowledge, as well as engaged in a variety of discussions with my fellow students and myself. CMP coordinators did an amazing job organizing this conference; especially their efforts in making the students feel welcome and facilitating the student / industry interaction. It is an exciting prospect to be a part of a society which is so hospitable, helpful and generous to the various students in attendance. I invite comments and photos from other delegates who attended the conference. This year's 'must' event for anyone with an interest in froth flotation is November's Flotation '11 conference in Cape Town. Once again this will be held at the beautiful Vineyard Hotel, in Cape Town's leafy suburb of Claremont. This week we welcome our 11th sponsor, Australia's FEI, the world's major automated mineralogy company, and supplier of the MLA and QEMSCAN systems. Cape Town is too good a location to fly in and out from, so why not spend some time after the conference relaxing and enjoying the immense beauty of the S-W Cape peninsula. In our long experience of the Cape, the best location for this is Noordhoek. Less than 30 minutes drive from the Vineyard Hotel is one of the world's most glorious beach walks. Noordhoek Beach is south of Cape Town, under the famous Chapman's Peak Drive, and has been the setting for many films, including David Lean's Ryan's Daughter. Take some time off during or after the conference to experience this wonderful walk, stopping off to look at the remains of the wreck of the Kakakpo, the meeting spot in Ryan's Daughter. The views of Chapman's Peak on the return are stunning, and it is worth staying for a drink or a meal in Monkey Valley's Thorfynn's Restaurant, with its magnificent views, before returning to Cape Town. Noordhoek is a great place to stay if you wish to explore the Cape Peninsula and the Winelands. It is roughly half way between Cape Town and Cape Point, and only a few minutes drive from the False Bay resorts of Fish Hoek and Simon's Town. Monkey Valley is an ideal location, and we have spent a fortnight here each November for the past 12 years. This year, however, we are making one week, from Friday November 18th, available for rent. If you are interested, there are more details here. What is the future for electronic sorting? How do you search for journal publications? Is media shape important for grinding performance in stirred mills? Hydrometallurgy- is it bucket chemistry? We welcome your comments on blog postings. If you do not have a Google account, the simplest way to add a comment is by selecting 'anonymous' as your profile, but please leave your name and affiliation in the comment. In minerals engineering, the typically complex multi-phase nature of the systems makes modelling particularly challenging. This has resulted in a wide range of different techniques being applied, ranging from Computational Fluid Dynamic methods such as Finite Element, Finite Volume, Smooth Particle Hydrodynamics to particle methods such as Discrete Element Methods, as well as many others. Given the interactions that occur in minerals processing systems, an increasing area of study is in coupling different methods. MEI's 3rd Computational Modelling conference will be held in Falmouth, Cornwall, in June, and will be immediately followed by Physical Separation '11 at the same venue. The conference is sponsored by DEM Solutions, and the provisional programme is now available for viewing. Hydrometallurgy- is it ‘bucket chemistry’?